Crystal Mountains tells the story of the early crystal hunters who roamed the mountains and glens of the Cairngorms during the 18th and 19th centuries in search of Scotland’s famous gem – the smoky quartz or cairngorm. 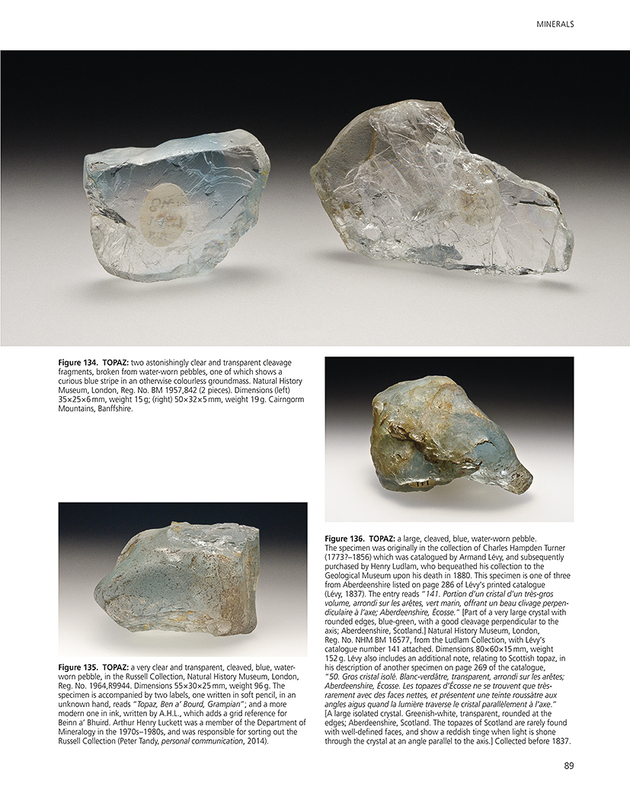 The book provides a comprehensive history of this arduous and uncertain quest, and explains the geological background to the occurrence of the gem minerals. 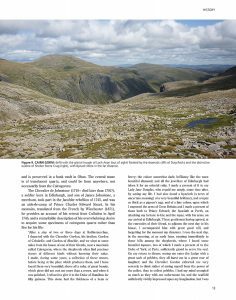 Lavishly illustrated with photographs of the wild and rugged scenery of the Cairngorms National Park, the text invites exploration and discovery. The author has been privileged to have obtained unprecedented access to both private and public collections, resulting in the inclusion of numerous previously unpublished photographs of mineral specimens, gemstones and artefacts made from them. 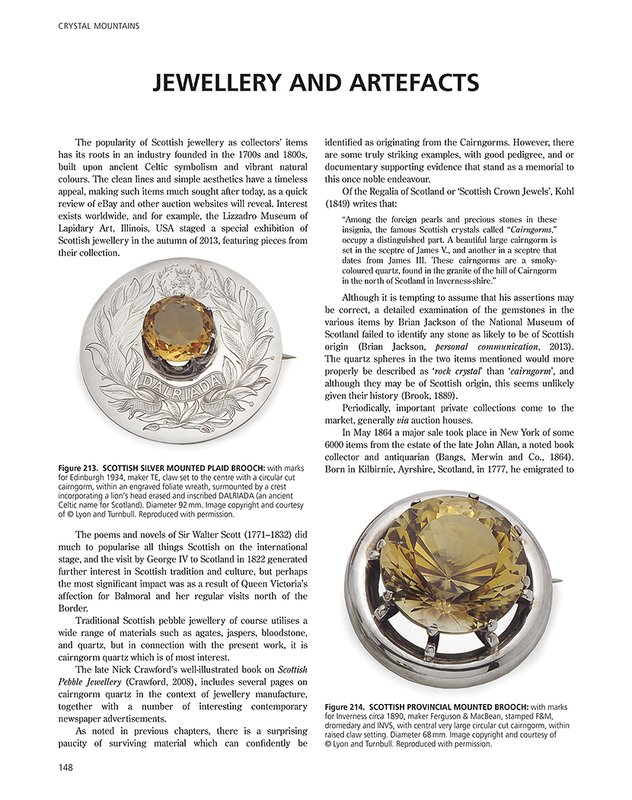 The book will appeal to all those interested in the natural and social history of the area, to Park visitors, mineral collectors, gemmologists and members of the antique and jewellery trades. 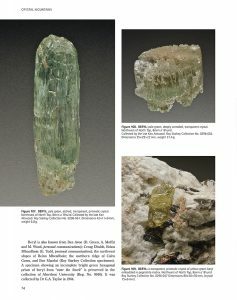 Running to 184 pages, the book follows the now well-established format of Minerals of Cornwall and Devon, Minerals of the English Lake District-Caldbeck Fells and Minerals of Northern England, page size 276 x 218 mm, and is lavishly illustrated with 229 colour photographs, 4 colour maps, 2 colour diagrams and 17 monochrome images. An extensive list of over 300 references complements the text and a comprehensive index is provided. Price: Softback £25 plus postage and packing. A facility to order a copy online and pay securely using PayPal has now been added to the site. Please click on the Book Orders tab. You will receive a confirmation email notifying you when your book has been despatched. If you would like the book signed, or inscribed with some special greeting, I’ll be happy to oblige. Just make sure that you include the instructions when you order it via Paypal. 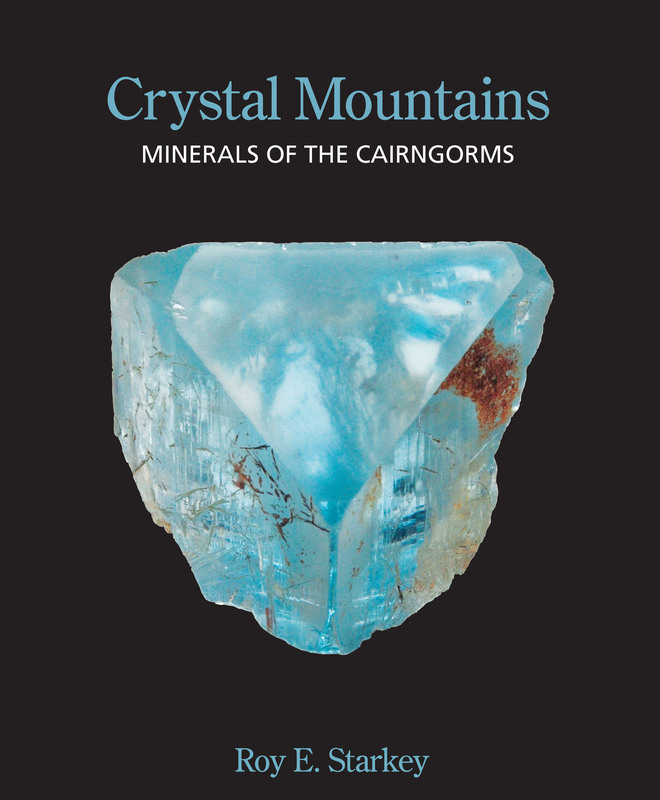 If you’ve watched the video and bought the book, you might be interested to know that I shall be doing a number of illustrated lectures on the “Minerals and Gems of the Cairngorms” at various venues around the UK over the next few months – see the “Crystal Mountains the Tour” T-shirt (below) for details. If you are interested in coming along to one of these events please send me a message via the contact page and I’ll let you have full details of the host organisation, venue etc. If your club or society would be interested in booking me for a talk / lecture, just drop me a message via the contact page and I’ll get back to you. It has been a really busy first year – starting with the launch of the book in Edinburgh on 25th September 2014. This was followed by a talk to the local community in Braemar the following Sunday, a catch-up session with the Braemar Castle team and visits to various people on Deeside who have been involved with the project. Then it was back down south to take a table at the Bakewell Rock Exchange, followed by the Russell Society’s Maisemore Event in Gloucestershire. After a short break in activities the Sussex Mineral Show and Mindat Mini Symposium provided additional promotional opportunities. 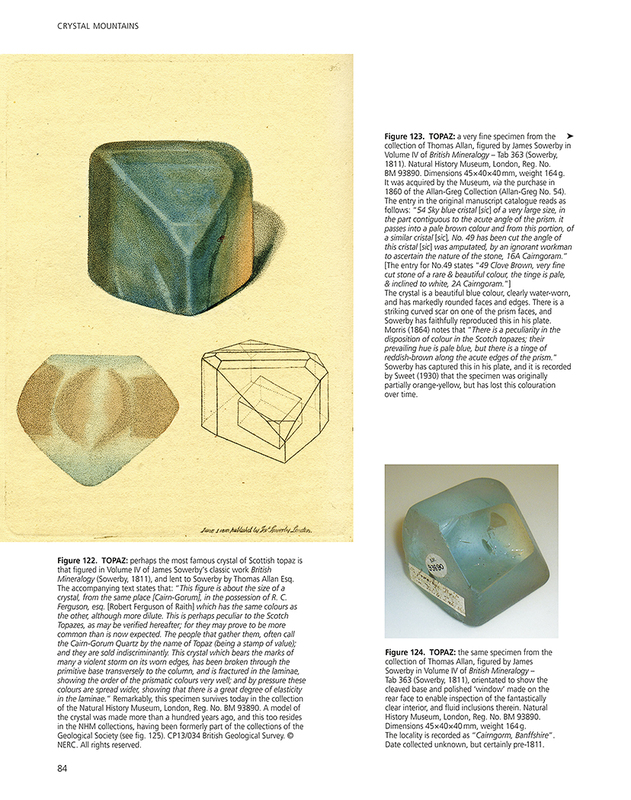 Talks to the Russell Society Central Branch, Midlands Branch of the Gemmological Association of Great Britain, the Norfolk Mineral and Lapidary Club, and the final Oxford Mineral Show of 2014 rounded off the year. Iain Thomson’s classic biography of the legendary Scottish climber Jock Nimlin May the Fire be Always Lit has just been republished in Amazon Kindle format. Jock features in Crystal Mountains, and I’m delighted that this long out of print, and hard to find book is available once more. The Kindle version includes additional material not published in the original Ernest Press edition. The new edition includes an appendix of articles and essays of Jock’s that do not feature in the biography itself and a significant number of additional photographs. It is great to see this splendid work back in print, and available to a potentially much wider readership than the original book. If you are not familiar with the original, and even if you are – do take a look. Jock was one of those true mountaineering heroes and his story is well worth a read. My good friend Hamish Johnston is Matthew Forster Heddle’s Great Great Grandson and for the past several years he has been working to compile an authoritative biography of the great man – arguably the greatest mineralogist that Scotland has ever produced. 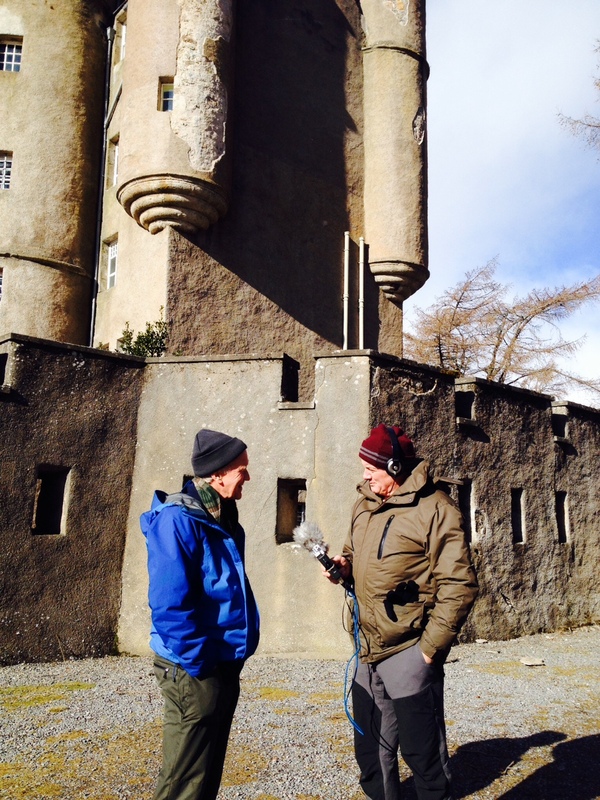 I have been helping Hamish with various aspects of the project. The book is now available from NMS Publishing. 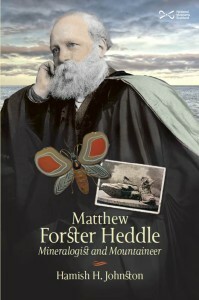 Hamish has a Facebook page to publicise the book https://www.facebook.com/matthew.forster.heddle so do please take a look. If you are a Facebook user Hamish will be very grateful if you ‘Like’ the page so that we can generate as much publicity as possible for the book. Please also pass on the link to your friends who may be interested, and of course – BUY THE BOOK! 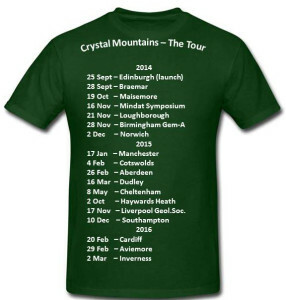 I’ve added some new dates for illustrated talks – (see the “Crystal Mountains the Tour” t-shirt image below for details). You can catch-up with me in Haywards Heath on 2nd October; Liverpool on 17th November; Cardiff on 20th February; Aviemore on 29th February a nd Inverness on 2nd March. I look forward to seeing you! 25th September – 1st Anniversary of Publication – tomorrow! The 25th of September 2015 marks the first anniversary of the book launch in Edinburgh, and it has been an exciting and interesting year. The book has generated a lot of interest, and I’ve had plenty of positive feedback which is great. A big thank you to everyone who has purchased a copy! My annual pilgrimage to the Cairngorms this year was marked by a spectacular overnight thunderstorm which lead to serious flooding, and at least one helicopter rescue https://www.pressandjournal.co.uk/fp/news/moray/640719/angler-rescued-from-rapids-on-moray-river/ and http://www.insidemoray.com/tourist-rescue-as-moray-river-rose-five-feet-in-15-minutes/. 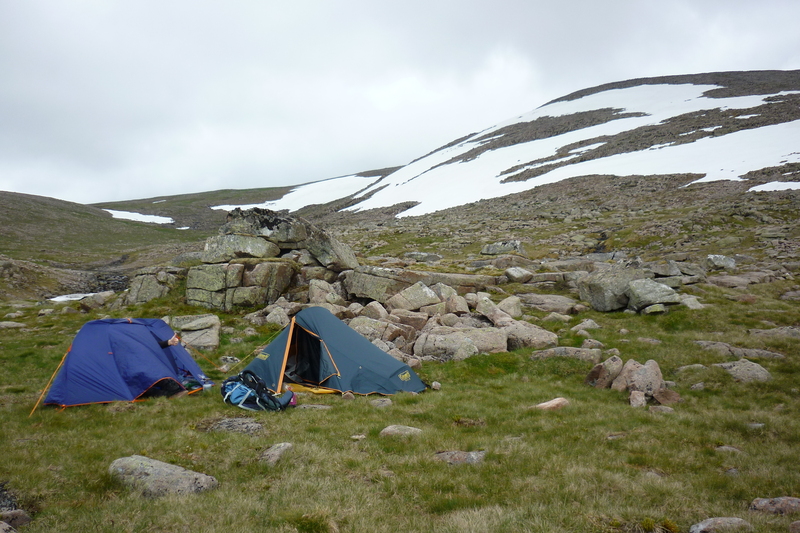 I was camping high up on the flanks of Ben Macdui on the night of 23rd July, and it certainly made for a memorable experience! The picture below shows our camp site before the storm came in overnight. 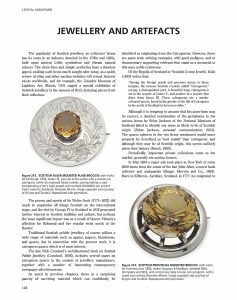 I shall be giving a talk in Cardiff “Minerals and Gems of the Cairngorms” at 11.00am on the morning of Saturday 20th February. Tea and coffee will be served from about 45 minutes before the start of the meeting. The venue for the talk is the Department of Earth Sciences at Cardiff University, in the “Main Building” (see map here http://www.swga.org.uk/pdf/cardiff.pdf ) The building location is No.5 on the key. Meet in the Earth Sciences staff room. The talk will be in Lecture Theatre 1.25. I shall be travelling north to give a talk as an invited speaker in the Rothiemurchus Estate Public Winter Lecture Series. This talk will be at the Rothiemurchuis Tennis Club Pavilion – postcode PH22 1QH, starting at 7.00pm. 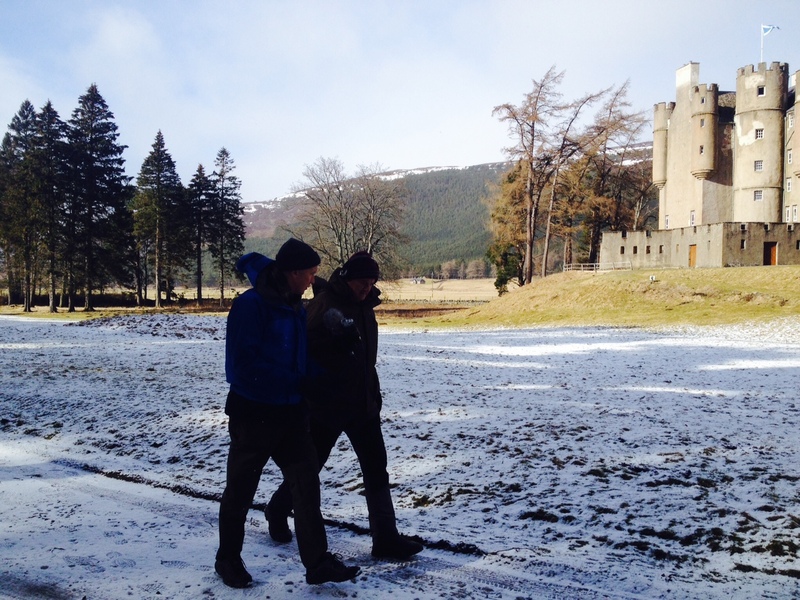 Contact Julian Orsi at Rothiemurchus Estate for details Tel: 01479 812345. Following on from the Aviemore talk I shall be in Inverness on 2nd March to give a talk to the Highland Geological Society. The venue for this talk is Millburn Academy, Diriebught Road, Inverness, IV2 3QR. 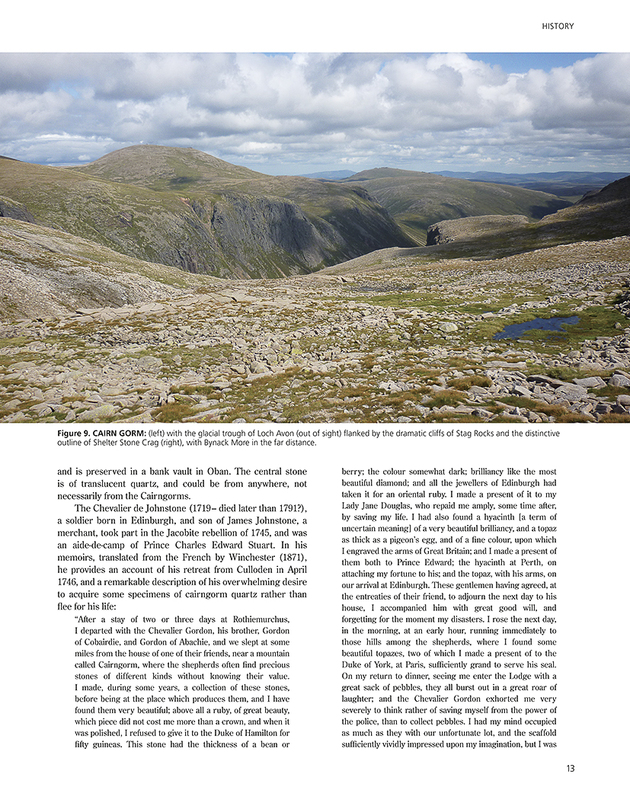 Contact Dr Alison Wright via http://www.spanglefish.com/highlandgeologicalsociety/feedback.asp for details. I look forward to meeting you in Aviemore or Inverness. 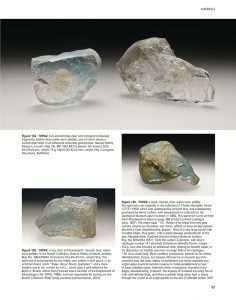 Unless otherwise stated Roy Starkey owns the copyright to all photographs and text appearing on the website http://www.BritishMineralogy.com Use of the content other than for private use, i.e. other than for personal or non-commercial use, requires the prior written permission from the copyright owner. All content posted on this site is commentary or opinion and any individual choosing to act on the information provided will be wholly responsible for its use. Inclusion of information regarding exposures and localities does not imply that access is available. Intending visitors should always seek appropriate permission from landlowners and / or regulatory authorities as applicable.